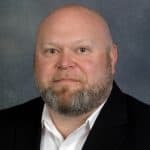 MILWAUKEE, Wis. — REV Group, Inc. (NYSE: REVG), a manufacturer of industry-leading specialty vehicle brands and a leading provider of parts and services, announced that Chris Hiebert has been promoted to VP/general manager of REV Group’s Collins Bus Corporation. In this role, Hiebert will be reporting directly to Ian Walsh, COO of REV Group. Previously, Hiebert was the director of operations at Collins Bus. He has been with Collins Bus since 2003 in various roles, and has led both Manufacturing and Lean Operations. In both disciplines, Hiebert has been focused on applying industry best practices to reduce operating costs, gain efficiency, and raise the bar for durability and reliability. REV Group (NYSE: REVG) is a leading designer, manufacturer and distributor, of specialty vehicles, plus related aftermarket parts and services. REV serves a diversified customer base through three segments: Fire & Emergency, Commercial and Recreation. REV provides customized vehicle solutions for applications that include: essential needs (ambulances, fire apparatus, school buses and municipal transit buses), industrial and commercial (terminal trucks, cut-away buses and street sweepers) and consumer leisure (recreational vehicles and luxury buses). REV’s brand portfolio consists of 29 well-established principal vehicle brands that include many of the most recognizable names within our served markets. Several of REV’s brands pioneered their specialty vehicle product categories and date back more than 50 years. Learn more about REV Group at www.revgroup.com.